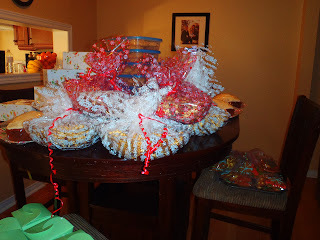 This Sunday my friends have organized their annual cookie exchange. I have gone over the past 2 or 3 years. Here is what I am bringing :) They are a cross between a baby cookie (texture wise, very crunchy)... and a spice cookie. I like them. 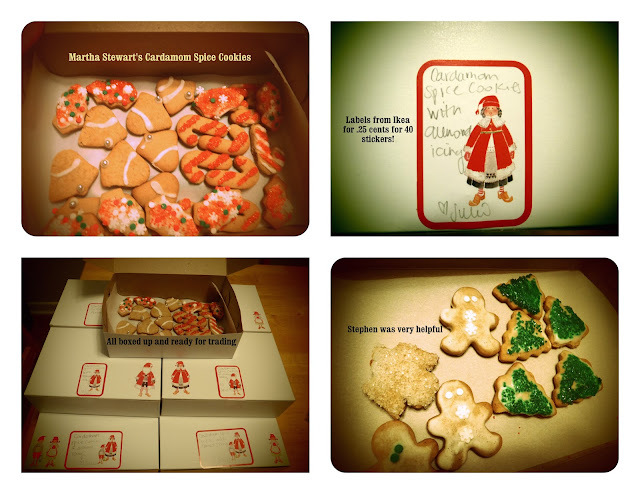 I posted a prior blog with the Martha Stewart version of Cardamom Spice Cookies. <--- Just click on that... and it will take you to her site. Here are a few photos from the years past cookie exchanges too... when I was not blogging. 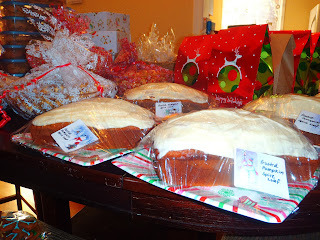 This one is from 2010 I believe... My friend Andrea has always been our wonderful hostess and she puts out quite the spread of goodies for us hard working ladies to enjoy. Rumor has it that her hubby Eric is making a treat this year too. My friend Lisa asked him it it was a mess that he was making... haw haw. Anyways, pictured here is a boat-load of goodies from the first exchange I have attended. I can remember Steph's caramel popcorn (HUGE BOWLS!) She has a great blog I will encourage you to check out. Monica's incredible pumpkin spice cake (that I ate frozen in about 5 days time...ya), Sheri's Monster Cookies that were safe to take to school because they were nut-free. 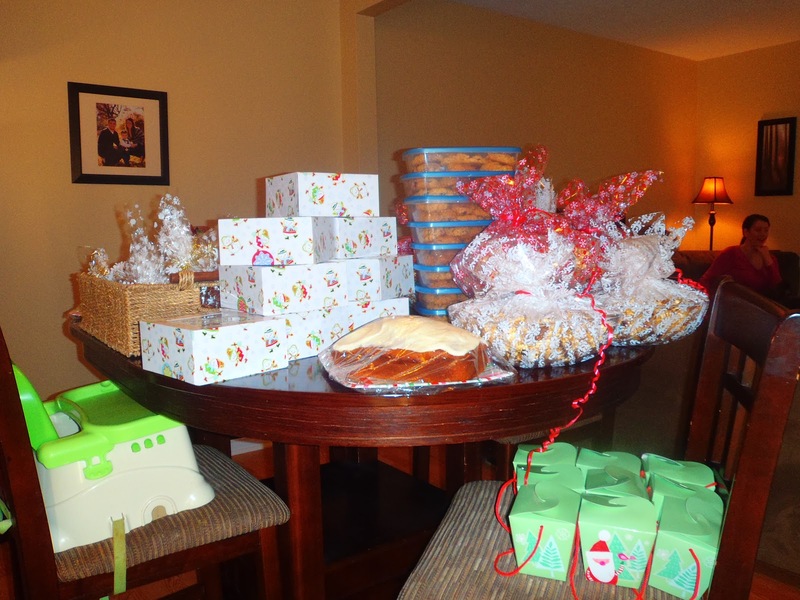 Tammara made an assortment of goodies, and boxed them up so pretty. She makes the BEST coconut balls. OMG. I am hoping for a repeater again this Christmas Exchange. Here is a good view of Monica's Cake... SO GOOD. She sent me the reciepe, and it was really easy to make too.... but keep in mind... she had 3 toddlers and a newborn at the time. She's kinda a hero in my books. I feel bad for not remembering everyone's loot. I know I made Traditional Gingerbread cookies, which in my opinion are a Christmas staple. I have a old stand-by cookbook from Canadian Living from my mom. It's from 1995. Oldies for goodies as I like to say.